Nine years ago, I finished my Ph.D. I was a bright-eyed 26-year-old with the world at my feet, and many were surprised (some offended) when I chose raising children over a career. I was throwing away my future and wasting opportunities. 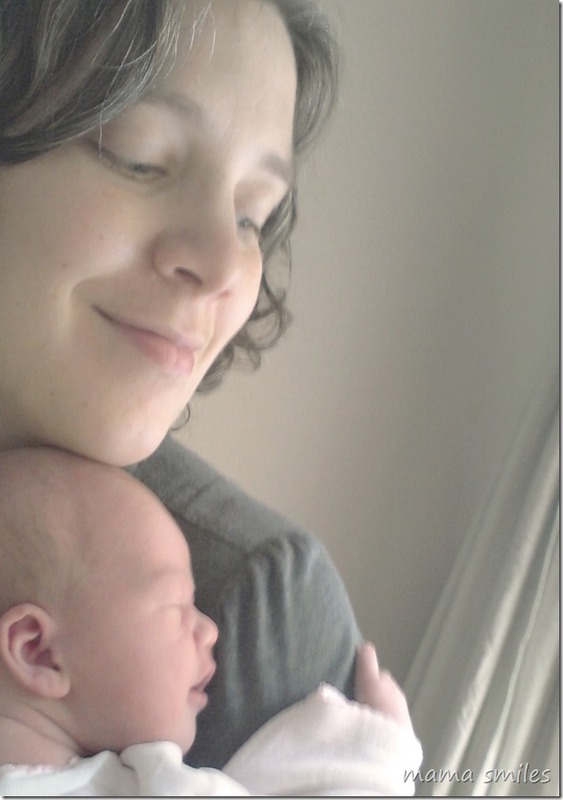 I had done a great job of balancing a difficult pregnancy and a colicky newborn with the demands of a Ph.D. program. Why stop there? Seven years ago, I started my blog as a gentle explanation to concerned friends who still did not understand why I was choosing home at the price of the professional career I had begun so ambitiously. Over the months I changed a few minds and was given up as a lost cause by others. This month I wrote an essay for a book edited by a friend from college on the same topic, joining 19 other mothers who chose motherhood over promising careers. 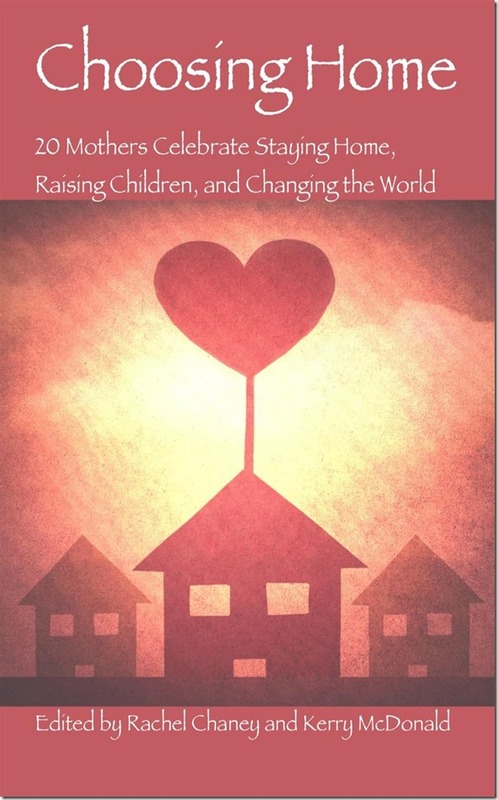 Choosing Home: 20 Mothers Celebrate Staying Home, Raising Children, and Changing the World (affiliate link) is the result of this collaboration. I hope you will check it out! There are women who work full-time outside of their homes who are incredible mothers, with children who are clearly loved and thriving. There are also mothers who stay home full-time whose children are neglected. There are women who long to stay home, but cannot, no matter how much they trim their household budget. This book features twenty very different women who followed twenty unique paths to staying home – and we stay home in different ways. Some homeschool, some send children to school outside of the home. Some take in some paid work; others do not. For some, staying home was a lifelong dream; for others it was an unexpected dream that came only as they prepared to return to work. For some, staying home has been financially simple; for others it has required many sacrifices. The thread tying our stories together is that we have each found a level of fulfillment in staying home that no career could provide. Do you stay home with your kids? Does your spouse stay home? Did your mother or father stay home? Did you have a choice? How did you make your choice? What a great resource, and thanks for sharing it! I’ll share it with my readers as well. As you know, I work outside the home, and so does my husband. This isn’t by financial choice, though even if it were, we’d still choose to work to some degree. For instance, if money wasn’t an option, I’d probably volunteer my skills (graphic design) to non-profits, many that we know of and I’ve done work with in the past. Or I’d continue to focus on my blog. Basically, I’d still have some sort of schedule where the kids were either with another caregiver or at school. Both my parents also worked, by choice. My husband’s dad worked but his mom stayed home until he entered kindergarten, then she found work after that. I think having a choice is really important. What works for one family won’t necessarily work for another. I love that all of the women who contributed to this book are doing amazing things. Staying home doesn’t mean you aren’t contributing! I feel incredibly fortunate that we have been able to make it work. I wish every family could have this as an option. I am so glad that you have been able to stay home since having your second child! I do think that it is important for mothers who stay home to find ways to interact as adults. Blogging has done that for me a lot of the time, and it helps support my family as well – not as much as an outside-the-home job would, but it definitely helps! Having been on both side, working full time outside home, and staying home as a full time mom, I saw you as a great inspiration, and can’t wait to read other moms’ stories. Thank you, Beth! I hope you enjoy the book. I am very intrigued. I was born and raised in the former Soviet Union when everyone I know had both parents working. To a degree it was good, since it eliminated that comparison and judging both for kids and for their parents. But growing up in that environment certainly had its effect on me, because I was not really considering staying at home once I had my daughter. My husband, however, was raised by stay-at-home Mom and he wanted our daughter to have a parent caring for her when she was young. So he was stay-at-home Dad for the first 2 years and now works part time, so he is still available for emergencies and school vacations. And your Smarty has clearly thrived! I think having a range of choices is really important for families, wherever possible. What works for one family will not necessarily work for another. I look forward to reading this, it sounds like a great book. “… we have each found a level of fulfillment in staying home that no career could provide.” My experience exactly! I didn’t even want to have children but my heart changed and now I’m a homeschooling mum of five. Life is pretty crazy and totally unlike how I would ever have imagined it, but it’s much much MUCH better than anything I would have designed for myself. I hope you enjoy the book! I have found motherhood incredibly rewarding, and it is so wonderful that you have as well. Just downloaded it, thank you so much for sharing it. And what a great title! Mums (stay-at-home or not) absolutely have the power to change the world. Thank you for sharing your thoughts and the new book on motherhood. I was raised by a stay at home Mom (and a fun engaged father). My childhood days were easy going, with basically no scheduled activities. I just stayed at home and played every day. It really was bliss. Those carefree days really shaped me as a mother. With such nostalgic days in my memory, I always knew I would stay at home with my children. I wanted a simple life for our family like my parents had given me. Not a life filled with luxuries but yet a life full of love and plenty of free time to play. You can’t buy a home full of love. I can’t wait to read it. And you have this gift to explain what you are doing in a non-judgemental and gentle way that is accepting of all the choices out there for moms. I think American moms tend to judge more than European moms — work at home or stay at home — and I think that’s because our culture does not help moms balance work with family so it’s a huge struggle. I really like your insights on the judgment in the US being tied to the struggle of balancing work and home life. Cheers to you, Mary Anne, and the 19 amazing, contributing, powerful mothers who participated in this book. What a fantastic resource and one that is very needed in our society right now. We teach our daughters the amazing importance of femininity in this role of SAHM and knowing you and other mothers are joyful in your roles encourages me to remain joyful and empowered as a Stay-at-Home Mom. Will be sharing for sure! I know many of my former colleagues were ‘disappointed’ in me when I stopped working to stay home and raise a child. Many friends were even startled when I became a ‘mom blogger’, because they think this is something bored housewives do. I wish I could tell them how I’m happier than I have ever been. Thank you for sharing this book, will share your post to inspire others. P.S: I’m unable to download the book because it says the book is unavailable in the Middle East. Tarana, I can try lending you my copy if you send me an email with which email address to you. I think you might enjoy it. I am really looking forward to reading your essay MaryAnne. I had a very similar experience as Melissa. I suppose I had assumed I would be a working mom but after having my first, 4 months leave did not feel like enough. Dropping my baby off at daycare was beyond hard. After my second we made changes so I could stay home but I soon started getting calls for freelance work. In the end working part time from home was what worked best for me and I feel very fortunate to have had that option. I’m so glad I chose staying home with the kids. Now that the kids are in school, I can participate in ministry/work stuff while they are at school and finish before they get home. It works perfect!